Food production produces damaging greenhouse gases from livestock, ruins swathes of forests and uses unsustainable amounts of water. 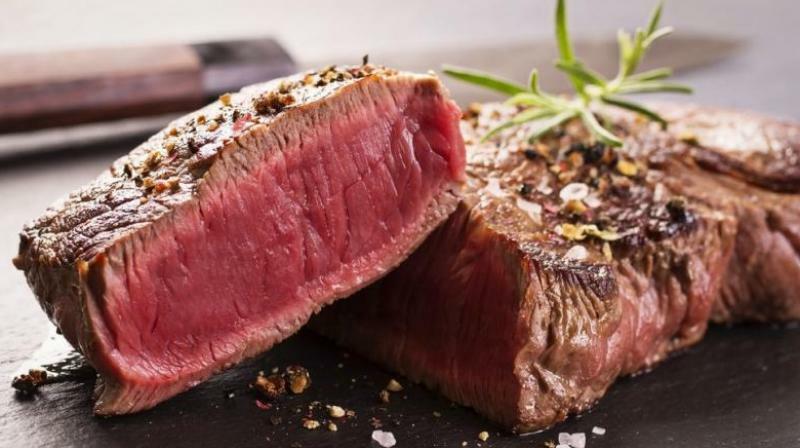 Paris: The world must drastically reduce its meat consumption in order to avoid devastating climate change, scientists said on Wednesday (Oct 10) in the most thorough study so far on how what we eat affects the environment. As humanity grapples with tough choices to offset a rapidly heating planet, the research suggests that the Western world would need to slash its meat intake by 90 per cent to avoid crippling Earth's ability to sustain an anticipated 10 billion people by 2050. Food production - which produces damaging greenhouse gases from livestock, ruins enormous swathes of forests and uses unsustainable amounts of water - is a major contributor to climate change. A study published on Wednesday in the journal Nature offers the most comprehensive look yet at just how bad intensive agriculture is for the planet. Without a huge drawdown in the amount of meat consumed, its authors said, the food industry's already vast impact on the environment could increase by as much as 90 per cent by mid-century. That coupled with a sharp projected rise in global population would devastate mankind's ability to effectively feed itself - and dash any realistic hope of curbing runaway global warming. The scientists called for a "global shift" towards more plant-based diets, slashing food waste and improving farming practices with the aid of technology to cope with the burden. "No single solution is enough to avoid crossing planetary boundaries," said Marco Springmann of the Oxford Martin Programme on the Future of Food and the Nuffield Department of Population Health at the University of Oxford, who led the study. "But when the solutions are implemented together, our research indicates that it may be possible to feed the growing population sustainably." The stark message comes just days after the publication of a landmark UN report in which some of the world's most eminent climate scientists warned that governments must fundamentally change course in order to keep global warming under 1.5 deg C by the end of the century. Livestock farming poses a triple threat to Earth's atmosphere, as animals produce huge amounts of the greenhouse gas methane, coupled with the loss of carbon-absorbing forests that are felled to accommodate their grazing areas. In addition, immense amounts of water are needed to sustain the livestock - 500 g of beef is estimated to require close to 7,000 litres of water. Wednesday's report said halving the amount of food that is wasted or lost to poor management alone could reduce the environment fallout by 16 percent. "When it comes to diets, comprehensive policy and business approaches are essential to make dietary changes towards healthy and more plant-based diets possible and attractive for a large number of people," Springmann said.